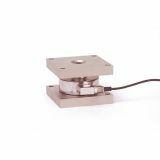 Our Canister Mount assemblies utilize hermetically sealed canister load cells with two attached mounting plates. Ideal for heavy capacity applications. Description: Tank mount assembly uses a hermetically sealed canister load cell with two attached mounting plates. The lower plate is rigidly mounted to the load cell. 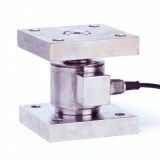 The top plate allows horizontal expansion but does not separate from the load cell. Description: The model CG-412M is a low profile, all stainless steel canister assembly. Unit is hermetically sealed, self-checking, and supplied with integral mounting plates. Simplified installation and long-term reliable operation. Designed for use with tanks, bin & hopper weighing, silo, batching and blending. 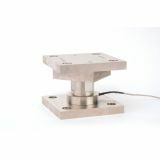 The model CG-94M is available in Mild Steel or Stainless Steel. Available capacities are 50K-300K. Most commonly used in heavy capacity tanks, bins, reactors and large storage silos.